Congratulations again to Cheryl Lane Caron and Mademoiselle VA ( “Maddie” is out of our beautiful, PA Maranda Always). 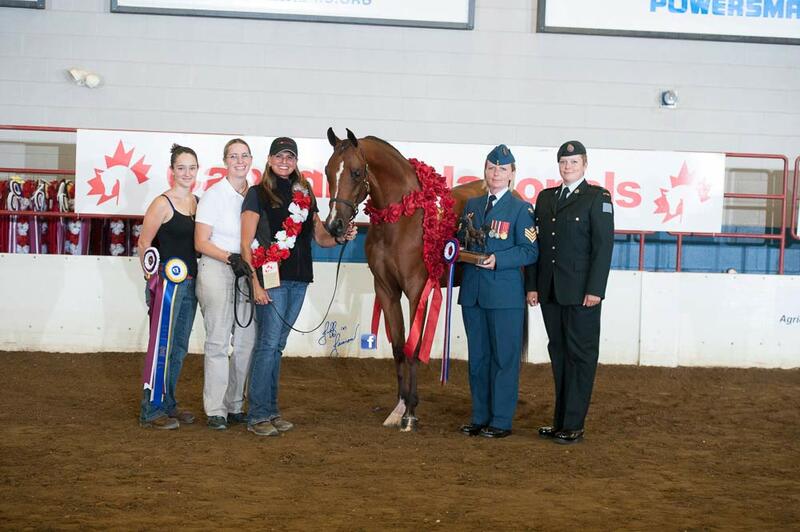 Champion Canadian Arabian Sport Horse Mare in Hand ATH Hunter Type – shown by Julie Dugas . Excellent handling Julie! We look forward to seeing you all win many more roses in the future.